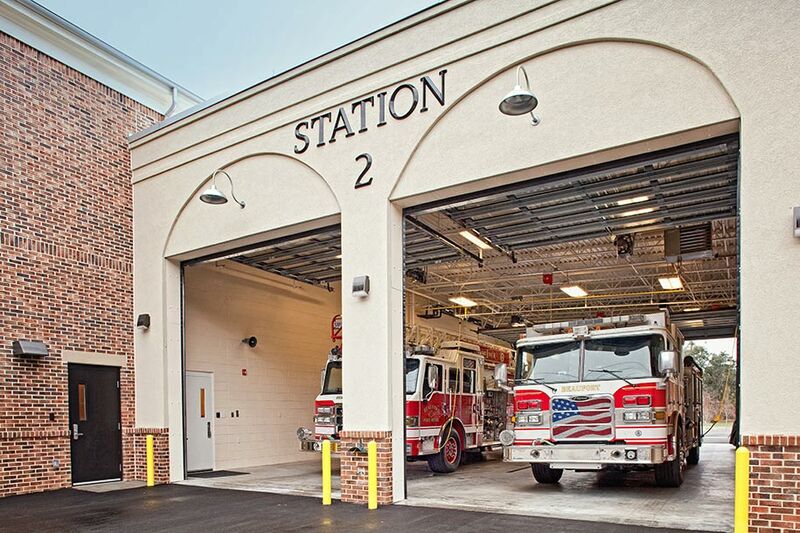 For this $2.8M Design-Bid-Build project, Hussey Gay Bell provided professional architectural and engineering services for this new facility which consists of a 10,000 SF, two-story, fire station on a 1.2-acre parcel. The building is located at the front of the site as required by the 15′ build-to line. The building footprint and site orientation allows for future bay expansion to the south and expansion of the living/work quarters to the west. Access is gained to the site from both Ribaut Road to the east and Bowling Alley Lane to the west. General parking and the fire truck apron is situated behind the building. 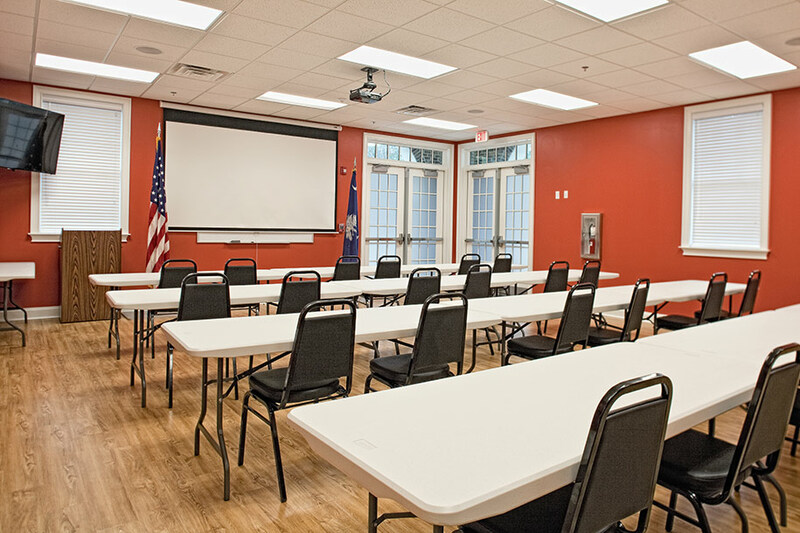 The structure of the building was constructed from durable materials consisting of steel framing, load bearing concrete masonry units and metal studs. 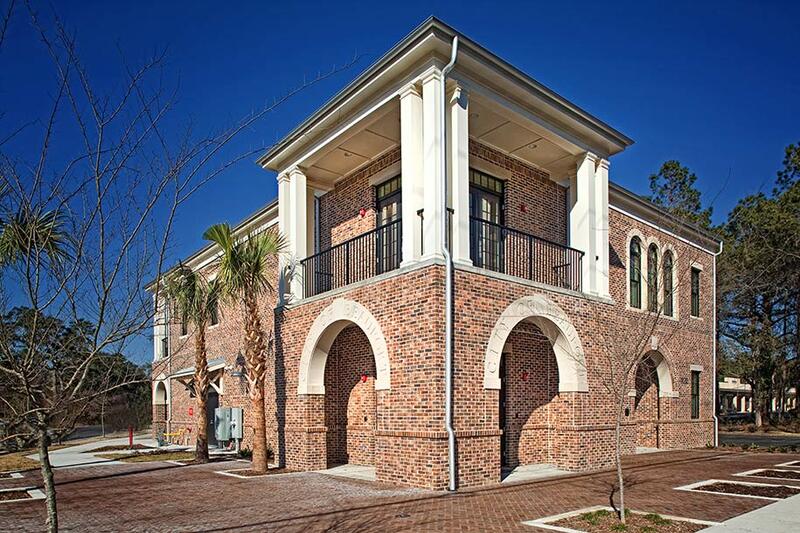 The exterior theme of the building incorporates “Low Country” design elements, while also maintaining the iconic image of a fire station. This was accomplished by utilizing cementitious siding, stucco, sloped metal roofs, covered porches and large sectional glass doors. 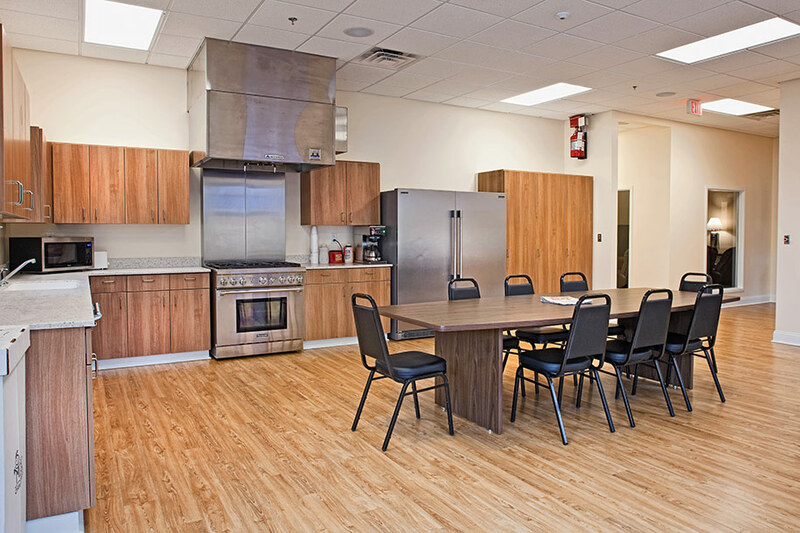 Interior spaces on the first floor consist of the apparatus bay and support spaces, an entrance lobby with reception, and a large community/training room. 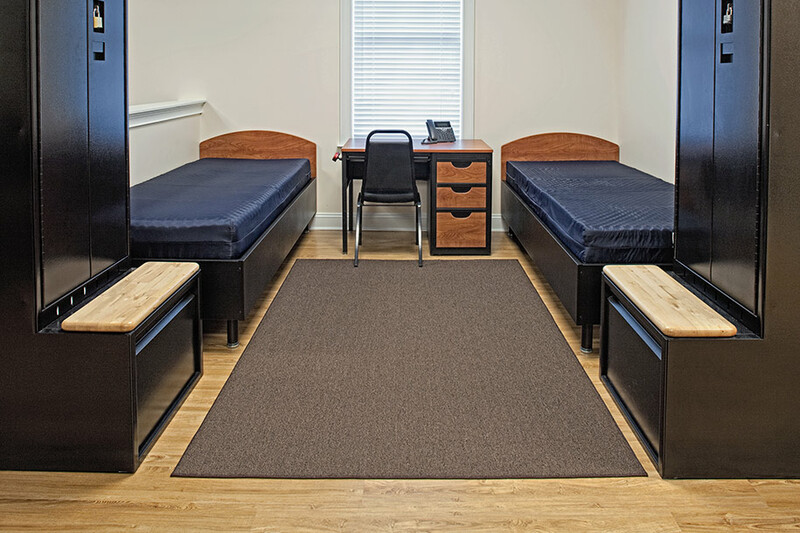 The second floor consists of the firefighters’ living quarters which includes a fitness room, kitchen and dayroom, an outdoor covered porch, laundry and shower facilities, and sleeping quarters. Completed in 2015, Fire Station No. 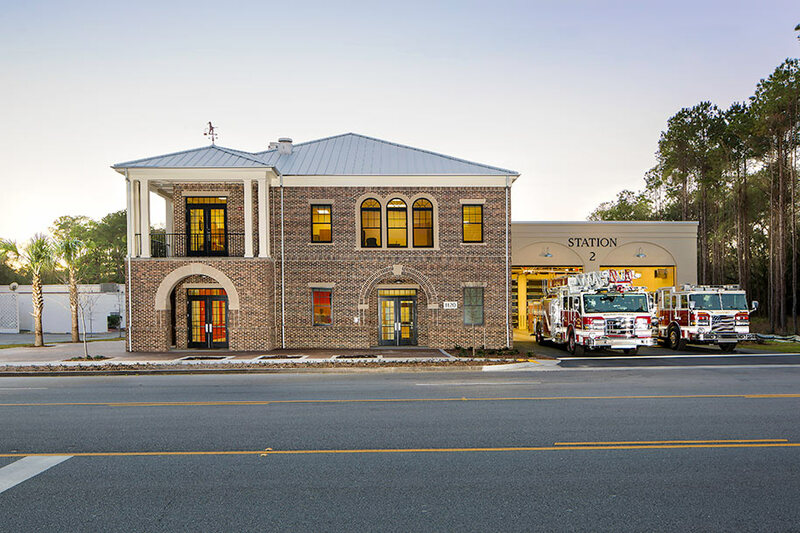 2 provides its firefighters with a new facility that is equipped with living quarters inclusive of a fitness room, kitchen and dayroom, an outdoor covered porch, laundry and shower facilities, and sleeping quarters all while blending seamlessly into the neighborhood with Low Country charm.